This is a question researchers have grappled with for some time. As yet there's no definitive answer and no one has discovered one single cause. Obviously, if people didn't drink alcohol, use drugs, gamble or indulge in other potentially destructive behaviours, they wouldn't become addicted. However, there are some people who can indulge without becoming addicted. So why do some develop problems and not others ? 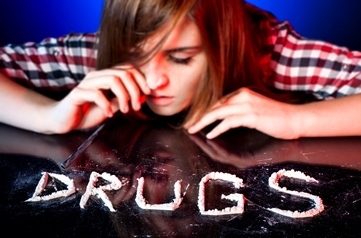 People try drugs or other potentially addictive behaviour because they are seeking some sort of reward or benefit. Those who take drugs, for instance, do so because of the physical effects they hope to experience. Drugs have a marked effect on the body and mind. If there were no effect, people would be unlikely to repeat the experience. No one sets out just to become addicted. Crucially, substances and certain behaviours change the way we feel. If they make us feel better, relax us, make us feel powerful, excite us, let us escape and so on, we tend to go back to them. Sometimes the attraction also comes from the feeling that the behaviour identifies us as one of a certain social group - people may try drugs because they think it will gain them acceptance in a desirable gang or that they become one of the rebels or cool people. However, in some people, those experiences uncover a powerful attraction. What can start out as casual experimentation, normal social behaviour or even a doctor's prescription, can lead to repeating the behaviour more frequently and with greater quantities. The more you do, the more likely you're to do more. Following the psychological shift to dependence (meaning you can't do without the substance or activity), the brain's chemistry may start to adapt, demanding ever more of what it's grown used to and fiercely resisting the discomfort of withdrawal. The behaviour takes on a self-perpetuating life of its own as the body becomes physically dependent on it.